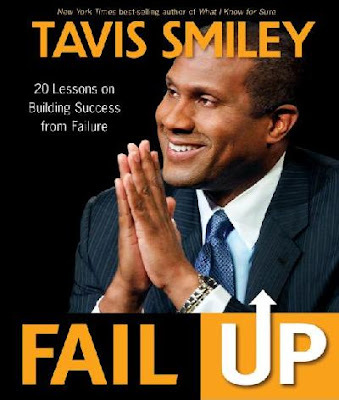 Tavis Smiley stopped by the Madd Hatta Morning show in Houston, Tx to discuss his new book, Fail Up: 20 Lessons on Building Success From Failure. In the book he dishes on his failures and how they have helped make him into the man he is today. One of the most interesting segments of the interview is when he starts talking about President Obama and black unemployment rates. We have to respect our President, and I do. We have to protect the President, and I do. But we also have to correct the President, remember he is a politician not a prophet like Dr. King. We have to push him into his greatness for him to become a great President and hold him accountable, lovingly not with malice, but there are some things he has to step up on like black unemployment, wars, and poverty. We gotta check him respectfully, he can’t be afraid to talk about black unemployment, when he needed to stand up for the Jews he did, gays and lesbians? he did, immigration for the Hispanic community? he did so don’t leave black folks twisted in the wind because you are afraid of being accused of being “tribal” and giving negroes the “hook up”. We are the most loyal part of your base! If you want the deficit to go down, put black folk back to work! I guess I don't understand what the president can do specifically for Blacks with regard to jobs that wouldn't be viewed as discriminatory. Immigration is a security and an economic issue. Hispanics are tend to be more affected by the immigration issue, but immigration is not soley a "Hispanic/Latino issue." For the LGBT community, don't ask; don't tell was a military issue...the idea of restricting VOLUNTEER soldiers to serve our country,protect us, and potentially die for us...perhaps those willing to do that shouldn't have such restrictions. Specifically address Black unemployment when there are tons of other ethnicities are unemployed as well...who should get preferential treatment? That's a disaster waiting to happen. Like I said, I don't know what he can do that would be undenialbe discrimination and I don't understand why some insist that he do that.